Growing Minds trains individuals to establish farm to school gardens and to integrate gardening into state and national curriculum. We emphasize how to sustain a garden program by involving community partners, such as parents, farmers, college students, and agricultural professionals. Students will eat what they grow! 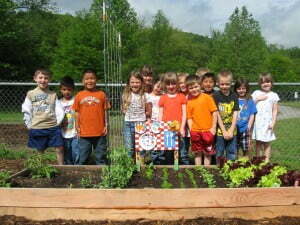 School gardens are an excellent tool for experiential learning and nutrition education. Check out the resources below to create or expand your garden program. Download and customize our This Week in the Garden weekly activity guides for your school garden, or use them as they are! Contact us for free seeds for your school garden. Free seeds are available to public and private preK-12 schools in the Appalachian Grown region.